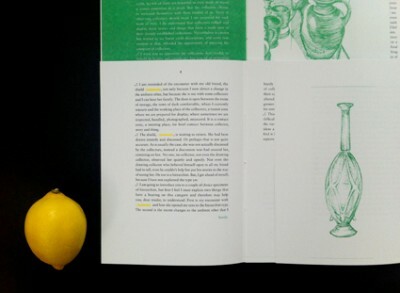 An artist's book serialized over 12 months published in chapters each month, beginning the 15th January and ending the 15th December 2013, echoing a nineteenth century paradigm in publishing by authors such as Charles Dickens and Wilkie Collins. Both a site-specific intervention into the Museum of Archaeology & Anthropology, University of Cambridge, and a stand-alone artwork, 'The Fork's Tale' is the story of the relationship between collections, collectors and the collected written from the point of view of a nineteenth century Fijian cannibal fork. The cannibal forks in the Museum's collection are the oldest in the world. Nevertheless they are highly contested artefacts. On the one hand they are meant to be material proof of past savagery, on the other, many are known to have been made specifically for an early tourist trade in native curios and have never touched flesh, let alone human flesh. It is the complexity of these stories that is explored in this publication including the humour involved in the encounter between Fijians and Europeans. The project is supported by Arts Council England Grants for the Arts and the Arts & Humanities Research Council. to be part of Kaleid 2014 Best Books. 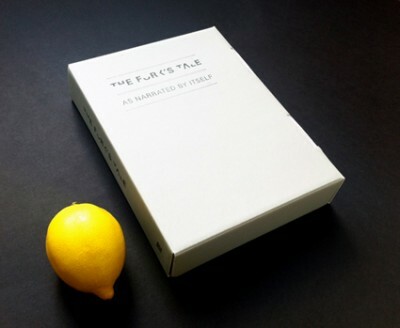 Copies of the various chapters of The Fork's Tale can be purchased individually for £2.50 (including £1.50 postage and packaging UK only) here. If you are ordering from outside the UK please contact us so we can find out the exact postage for your country. 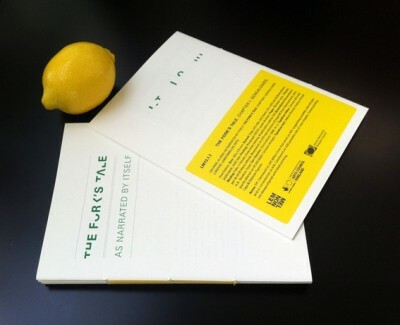 Order your complete copy of The Fork's Tale for £25 (including £5 postage and packaging UK only). If you are ordering from outside the UK please contact us so we can find out the exact postage for your country. Offering the chapters in this format alludes to the history of book-publishing and binding at the time when serialisation of novels was common practice, that is, during the 18th and 19th centuries. Subscribers to Dickens and Thackeray would send their complete set of temporarily bound chapters to their personal bookbinders in order to have them bound in accordance with the aesthetics of their personal libraries. 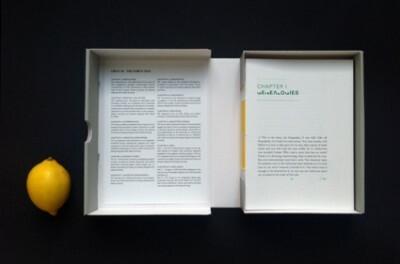 Sent as individual chapters, held together in a museum archival box (where such archival documents would be kept), contemporary readers are offered the option of doing similarly. Order a complete copy of the coptic-style, hand-bound, hardback special edition of The Fork's Tale for £67 (including £7 postage and packaging UK only). If you are ordering from outside the UK please contact us so we can find out the exact postage for your country. Hand-bound in museum-quality box-plywood with linen thread in a style that alludes both to Fijian traditions of string-making and knotting (magimagi) and the current box storage of the nineteenth century Fijian cannibal forks in the collection of the Museum of Archaeology & Anthropology, University of Cambridge, the hardback version has been conceived to remind the reader of the fork as museum object.